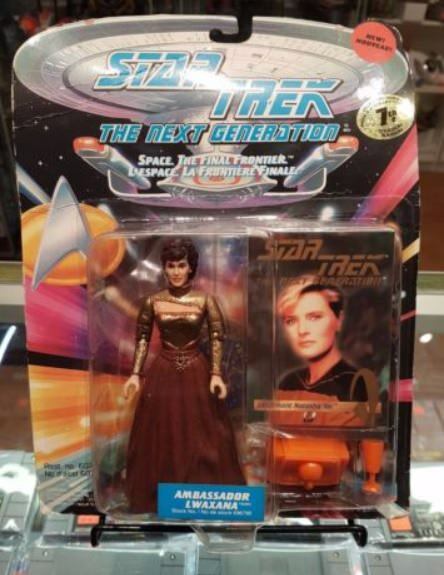 Here's a pretty impressive one spotted on eBay, just due to the rarity of the figure package involved: Canadian Lwaxana Troi with Tasha's SkyBox card. I should note that Tasha was available with this backer card as well with a SkyBox card in Canada, though with a card-on-left tray arrangement. Thats the kinda thing FHC used to really like! That's impressive. Like 99 percent of the errors are stuff like mismatched or missing skybox cards, pogs, and backer cards. I have an entire section on display of errors. Prob 30 + easy. Here was one it took me a second to catch. I... don't see it. Do you want to unravel the mystery? 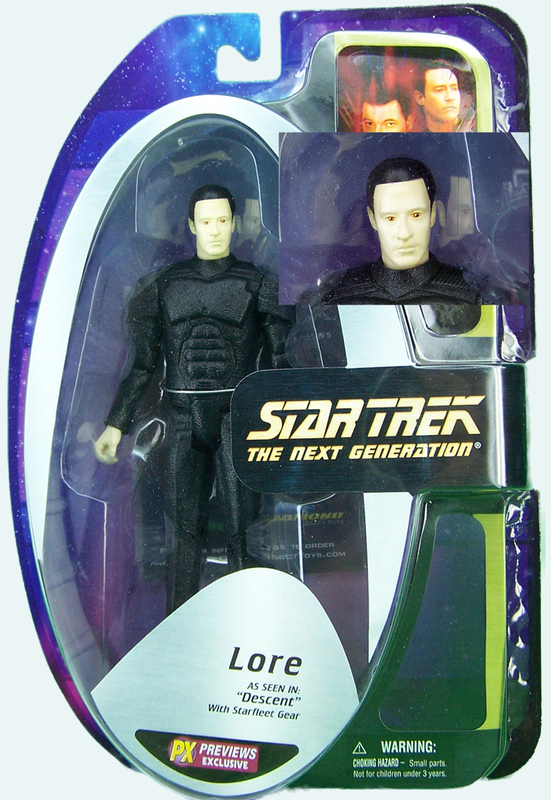 I think it is a regular Data head on it vs the smiling Lore head.